MADISON -Summer is in full swing and Wisconsin state park system properties offer visitors many opportunities to beat the heat and enjoy the outdoors. This July, the Wisconsin Department of Natural Resources will highlight ideas for enjoying the many opportunities for water sports at state park properties on its Facebook page and Twitter account. 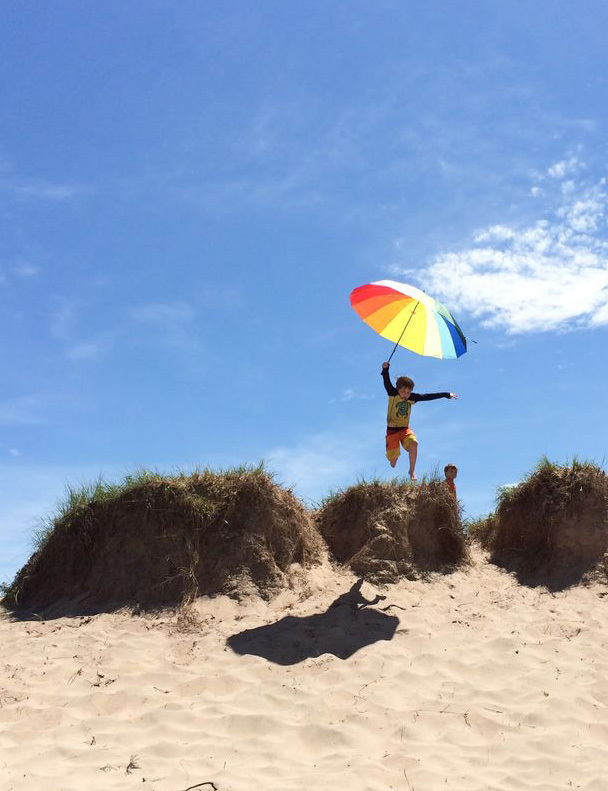 People are encouraged to share their own experiences using the hashtag #WIstateparks. From Great Lake’s beaches to crystal clear inland waters, visitors can find many spots to swim, paddle, sail boat or just hang out on the beach. The first week of July featured Great Lake’s beaches. Check out the posts on the DNR Facebook page and post photos of your favorite Great Lake’s beach. This coming week will look at some fantastic inland beaches at state properties. In coming weeks watch for opportunities for getting on the water and some best spots for sunrise and sunset viewing. To participate, follow the suggestions on the DNR Facebook Page www.facebook.com/WIDNR and Twitter account twitter.com/WDNR. Links for both can be easily found in the footer of the DNR website, dnr.wi.gov. MADISON – People who have questions about the hiring process involved to recruit the Class of 2018 Wisconsin Department of Natural Reslurces conservation wardens can participate in an online chat scheduled for noon, Wednesday, July 12. The DNR recently launched its hiring process to fill the next recruit class of wardens. With that process comes questions. Anyone interested in finding out more about the process or about what the warden positions involve can participate. 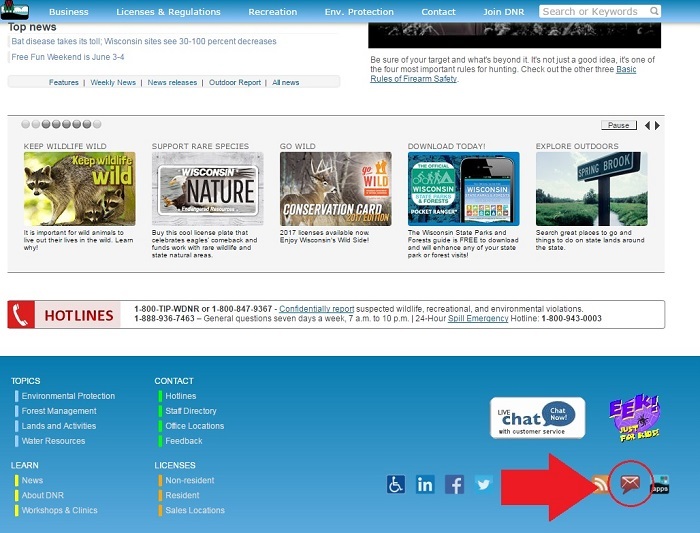 To participate in a chat, visit dnr.wi.gov and click on the graphic or search the phrase “ask the experts”. You can also join the conversation via the department’s Facebook page at facebook.com/WIDNR – select the tab labeled “Ask the Experts Chat” at the top of the page. MADISON – Four Wisconsin anglers have reeled in their place in fishing history by establishing the first state records for fish caught and released live. Rod Eberly of Appleton submitted the first ever application under the new live release state record fish program launched earlier this year by the Department of Natural Resources. Eberly’s historic catch was a 17.75-inch white bass caught and released May 8 from the Fox River in Brown County. Eric Amenda from Germantown caught and released an 8.25-inch pumpkinseed sunfish on May 28 from Pleasant Lake in Waushara County. Dennis Wilkerson of Twin Lakes caught and released a 10.5-inch rock bass on June 10 from Powers Lake in Kenosha County. Ben Halfen of Prairie du Sac caught and released a 10.5-inch bluegill on June 16 from Reynard Lake in Bayfield County, establishing the first live release state record for bluegill. “We’ve heard from anglers over the years that they wanted an opportunity to get recognized for catching and releasing trophy fish, so we’re happy to say we have our first live release records on the books and look forward to many more,” says Justine Hasz, DNR fisheries director. DNR recognizes live release records by length for specific fish species meeting qualifying lengths. The angler is required to submit an official record application and photos showing the fish lying along a ruler or other measuring device, and with the angler. The photos and application are reviewed and certified by DNR fish biologists. New live release records must exceed the existing record by at least 1/4 inch. The new live release records program is part of a larger effort to promote quality fishing and encourage the careful release of trophy-size popular sport species. Similar efforts have found success in other states and among some national record-keeping organizations. Anglers in the traditional state fish record categories landed six new records — and some even better fish tales – in the first half of 2017. DNR recognizes anglers who have legally taken the largest fish on record by hook and line, as well as those fish that have been taken by alternate methods including spearing or bowfishing. 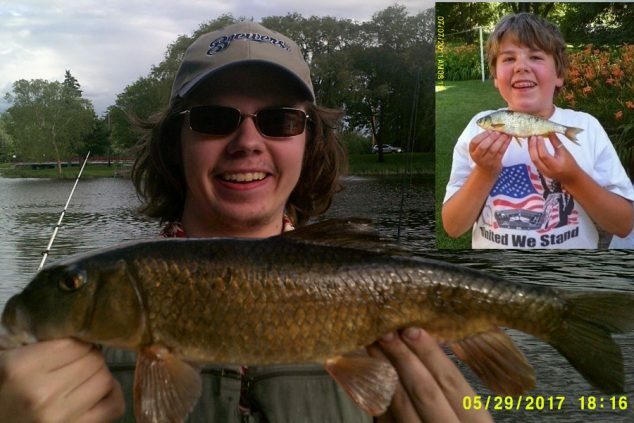 Among the record setters is a pair of brothers, a Madison teenager who set his second state fish record after a frenetic race for the golden shiner record in 2011, and a Denmark angler who broke his own record. Traditional categories are determined by fish weight, with anglers needed to have the fish weighed on a certified scale. DNR recognizes anglers who have legally taken the largest fish on record by hook and line, as well as those fish that have been taken by alternate methods including spearing or bowfishing. Tanner Derusha of Odanah submitted the initial record for a 10.5-inch, 5-ounce rainbow smelt caught on March 5 from Chequamegon Bay in Ashland County. Brad Geisthardt of Germantown bettered the existing common shiner record with an 8-inch, 4 ounce fish caught on April 23 from the Mukwonago River in Waukesha County. Keeping it in the Geisthardt family, brother Eric of Milwaukee set the initial record for an alewife with an 8 1/8-inch, 2.4 oz. fish caught May 19 from Lake Michigan in Milwaukee County. MaxField JonasKrueger of Madison notched his second state fish record with the 19-inch, 2-pound 13.4 ounce golden redhorse he caught May 29 from the Rock River in Jefferson County. As a 13-year-old, JonasKrueger set a new record for golden shiner with a 9.75-inch, 4.8 ounce fish from Fowler Lake in Waukesha County. His record was eclipsed 10 days later, and then that record was broken again in successive days a month later by a Watertown woman and then by her fiance. Xavier Vang of Milwaukee erased an almost 20-year shovelnose sturgeon record with a 37.5- inch, 7-pound, 13.1 ounce fish caught May 28 from the Mississippi River in Vernon County. Shawn Schmidt of Denmark bettered his own record with a 9.5-inch, 13-ounce pumpkinseed speared on May 13 from Silver Lake in Washington County. MADISON – A request for approval of the Menominee River State Recreation Area Master Plan, a request to approve management plans for 12 State Natural Areas, and a request to initiate an amendment process for the Kohler-Andrae State Park Master Plan are among the items the state Natural Resources Board will address when it meets June 28 in Hudson. The regular business meeting will begin at 8:30 a.m. on Wednesday, June 28, in the County Board Room of the St. Croix County Government Center, 1101 Carmichael Road, Hudson. On Tuesday, June 27, the board will tour and/or receive presentations at locations around the Hudson area beginning at 11:20 a.m. at the UW-Hudson Center, 2501 Hanley Road. The Menominee River State Recreation Area encompasses 7,652 acres of land in Dickinson and Menominee Counties, Mich., and Marinette County, Wis. The Menominee River Area master plan process is a collaborative effort between both the Wisconsin and Michigan Departments of Natural Resources. With public ownership on both sides of the river, this joint master plan will help create a “one place, one feel” experience. The board action will address only Wisconsin recreational and conservation goals. A view of the Menominee River from river’s edge. The DNR has developed Tier 3 management plans for 12 State Natural Areas located in Brown, Columbia, Door and Sauk counties. Tier 3 properties are smaller in size (ranging from 34 to 499 acres), have little infrastructure, and have narrowly-defined property objectives and goals. The purpose of SNAs is to protect outstanding examples of Wisconsin’s native landscapes, significant geological formations, and archeological sites. They also provide habitat for rare, nongame, and game species and provide unique recreational opportunities. The DNR is requesting board approval to initiate a process to consider amending the master plan for Kohler-Andrae State Park to evaluate a request from the Kohler Company to use approximately 5 acres of park property for access and a maintenance facility for an 18-hole golf course the company is proposing to construct on land it owns adjacent to the park. Kohler has also submitted applications for wetland and waterway permits from the department, but those permits will be evaluated separately from the master plan amendment process. Any permission for Kohler to use park lands would be contingent upon the company receiving all approvals needed for its project from other DNR programs as well as from the U.S. Army Corps of Engineers, U.S. Fish and Wildlife Service and/or local officials. The master plan amendment process provides several opportunities for public input and would require final approval by the board at a future meeting. The public must pre-register with Laurie Ross, board liaison, to attend the Tuesday tours and/or to testify at the board meeting. The deadline to register to attend the tours, testify, or submit written comments is 11 a.m. on Friday, June 23, 2017. Registration information is available on the agenda on the DNR website. Board meetings are webcast live. People can watch the meeting over the internet by going to the NRB agenda page of the DNR website and clicking on webcasts in the Related Links column on the right. Then click on this month’s meeting. After each meeting, the webcast will be permanently available on demand. MADISON – Preliminary totals show turkey hunters registered 43,341 birds during the 2017 spring turkey hunting season in Wisconsin, a slight decrease from the spring 2016 season. A total of 212,088 permits were issued for the spring 2017 spring turkey season, compared to 212,772 in 2016. Zone 1 produced the highest overall turkey harvest at 12,573 birds, followed by zones 2 and 3, where hunters registered 10,675 and 9,925 turkeys respectively. Overall, the statewide success rate was 20.4 percent, compared to 21.3 percent in 2016. The highest hunter success rate was seen in Zone 2, with a rate of 22.2 percent, followed by Zone 4 at 21 percent and Zone 1 at 20.4 percent. Success rates were between 14 and 19 percent for the remaining zones. The Youth Turkey Hunt and Learn to Hunt events were again offered in 2017. Youth and novice hunters enjoyed an early onset of spring and decent weather conditions in the pre-season, which helped increase the harvest during the Youth Turkey Hunt and Learn to Hunt events by 17 percent from 2016. These efforts are aimed at recruiting new turkey hunters. A key objective of Wisconsin’s Wild Turkey Management Plan is to maximize opportunities for hunters with a minimum amount of interference, while ensuring that harvest does not lead to population declines. Biologists in Wisconsin closely monitor harvest, hunter interference rates, and hunter satisfaction along with turkey populations through time, to maintain a successful and enjoyable spring turkey hunt. MADISON – Visitors to Wisconsin State Park System properties will have 16 opportunities to enjoy “Shakespeare in the Park” performances this summer. The performances begin July 17 and run through July 30. A scene from last summer’s Summit Players production of Shakespeare in the Park. 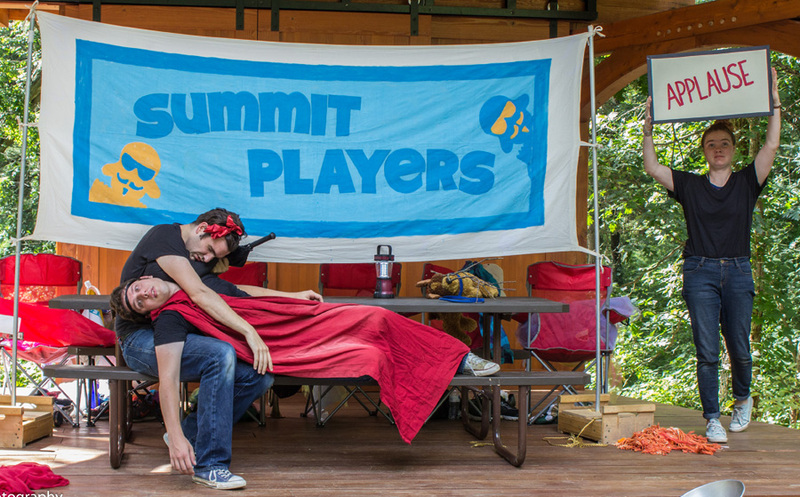 The Wisconsin-based traveling theatre group Summit Players Theatre is returning for a third season to Wisconsin state park system properties, this year performing Shakespeare’s The Comedy of Errors. All performances are free, but a daily or annual state park admission sticker is needed to enter most park system properties. Each performance is preceded by a 45-minute educational workshop. Each The Comedy of Errors show is 75 minutes long. The group’s educational workshop, “Playing with Shakespeare: Get Outside with Will,” is offered before every show. It serves as a way for kids and “fun adults” to get comfortable with Shakespeare’s language, as well as learning more about the man himself and the way nature played into his works. Participants get to take part in Shakespeare games and exercises culminating in performing a short scene. 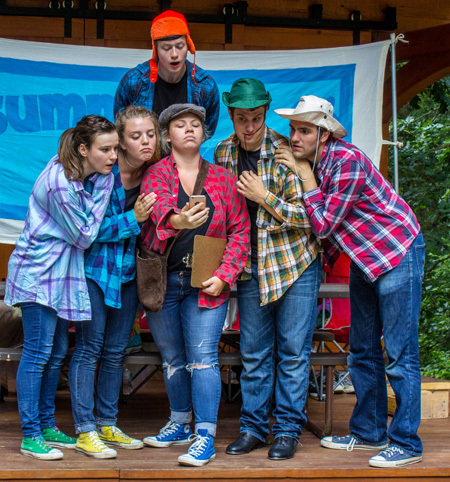 Through a collaboration with the Wisconsin Department of Natural Resources, the Summit Players are also able to introduce audiences to different state park system properties around the state. This summer the theater troupe will be performing “A Comedy of Errors” at 16 different properties. After being founded by a group of Marquette University students two years ago, the Summit Players Theater group is now an established nonprofit company. The company is still seeking donations for their 2017 season, which can be made through its or website www.summitplayerstheatre.com (exit DNR). “The Summit Players’ mission is to promote overlap between nature and the performing arts by providing accessible outdoor theater to young people and their families,” said A.J. Magoon, an actor and public relations director for the troupe. June 17: Richard Bong State Recreation Area – workshop: 5:30 p.m.; show: 7 p.m.
June 18: Kettle Moraine State Forest – Southern Unit – workshop: 1 p.m.; show: 2:30 p.m.
June 23: Havenwoods State Forest – workshop: 5:30 p.m.; show: 7 p.m.
June 24: Devil’s Lake State Park – workshop: 5:30 p.m.; show: 7 p.m.
June 25: Blue Mound State Park – workshop: 5:30 p.m.; show: 7 p.m.
June 30: Summerstage at Kettle Moraine State Forest – Lapham Peak Unit – workshop: 5:30 p.m.; show: 7 p.m.
July 1: Potawatomi State Park – workshop: 5:30 p.m.; show: 7 p.m.
July 2: High Cliff State Park – workshop: 1 p.m.; show: 2:30 p.m.
July 14: Three Bridges Park on the Hank Aaron State Trail – workshop: 5:30 p.m.; show: 7 p.m.
July 15: Lake Kegonsa State Park – workshop: 5:30 p.m.; show: 7 p.m.
July 16: Mirror Lake State Park – workshop: 1 p.m.; show: 2:30 p.m.
July 21: Rib Mountain State Park – workshop: 5:30 p.m.; show: 7 p.m.
July 22: Copper Falls State Park – workshop: 5:30 p.m.; show: 7 p.m.
July 28: Lakeshore State Park– workshop: 5:30 p.m.; show: 7 p.m.
July 29: Kohler Andrae State Park – workshop: 5:30 p.m.; show: 7 p.m.
July 30: Kettle Moraine State Forest – Pike Lake Unit – workshop: 1 p.m.; show: 2:30 p.m.
ELLISON BAY, Wis. – Newport State Park, Wisconsin’s only wilderness state park, has now also become the first state park in Wisconsin to be designated an International Dark Sky Park, one of just 48 parks in the world to earn the designation. The dark sky at Newport State Park. Located on the western shore of Lake Michigan on the northern tip of Door County, Newport has a dark sky that offers excellent nighttime viewing with an unobstructed view of the eastern horizon. As a designated wilderness park, the 2,373-acre park offers only backpack camping and has minimal developments beyond the park office, picnic area and trails. Based in Tucson, Ariz., the International Dark-Sky Association is a non-profit organization founded in 1988 that is dedicated to protecting the night skies for present and future generations. 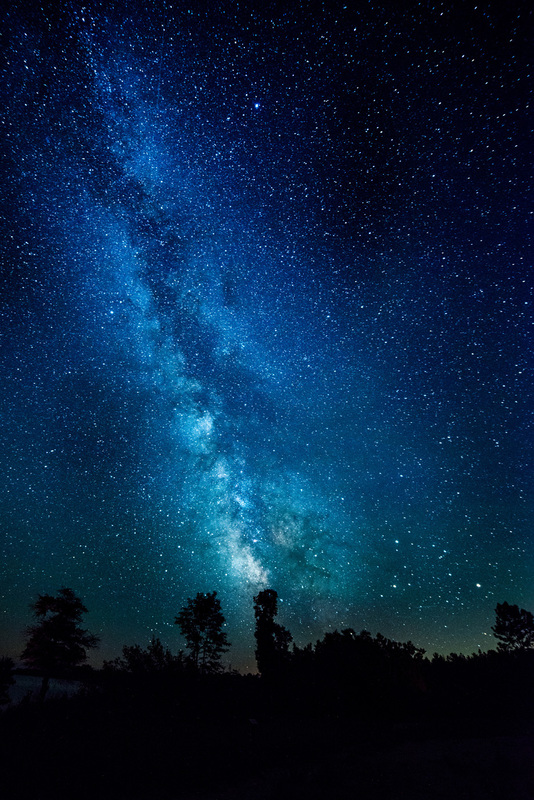 The association advocates for the protection of the night sky, educates the public and policymakers about night sky conservation, promotes environmentally responsible outdoor lighting and empowers the public with the tools and resources to help bring back the night. The idea for applying for the designation began four years ago when Ray Stonecipher, a local Door County amateur astronomer, approached Hefty about seeking the designation. The park also received assistance from supporting partners including the Door Peninsula Astronomical Society and the Newport Wilderness Society. The association has program guidelines that outline specifics for Dark Sky Park designation, which included sky meter readings from 14 locations with the park, conducting astronomy education programs and developing a light management plan. The association board unanimously approved Newport State Park as an International Dark Sky Park on April 27, joining the ranks of Big Ben, Glacier and Grand Canyon national parks. Only 13 other state parks in the United States have received the designation. “In a modern world that is accompanied by ever increasing levels of nighttime illumination, a truly dark sky at night is rare and unique,” said Michelle Hefty, park superintendent. The park will host a dedication ceremony on Thursday, June 22 when an official International Dark Sky Park sign will be placed in the park. The ceremony will feature talks by members of the Door Peninsula Astronomical Society and Newport Wilderness Society as well as state and local officials. The ceremony will begin at 1 p.m. at the park shelter and is open to the public with light refreshments served afterword. “The prestigious Dark Sky Park designation opens the park to local, regional, national and international astronomical clubs and societies, increasing tourism, especially ecotourism. Obtaining this honor will accord national and international recognition to Newport State Park and the Wisconsin State Park System,” said Ben Bergey, Wisconsin State Park System director. 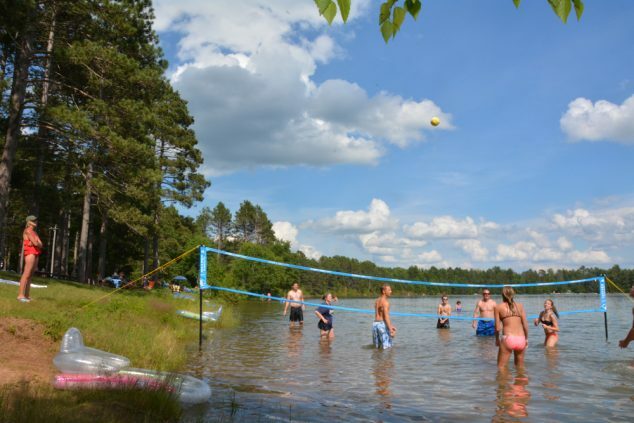 MADISON – Visitors to Wisconsin state park system properties can jump into the start of summer this June by camping, getting fit, taking a day trip or exploring paddle watersports and then sharing their experience with others through social media. Jump in to fun this June at a Wisconsin state park system property. Throughout June the Wisconsin Department of Natural Resources will feature activities and events visitors can participate in at a state park property on its Facebook page and Twitter account. Park visitors are encouraged to share their own experiences using the hashtag #WIstateparks. Each week will have a different focus, beginning with the wide variety of camping opportunities in the state park system, from modern campgrounds to primitive backpacking campsites, and bicycle and water access campsites. There will also be camp cooking suggestions. Other weeks will focus on tips to “get moving at parks” with activities for health and fitness at park properties, day-tripping suggestions for different parks around the state, and the wide variety of paddle sport water activities available at park properties. MADISON – The Wisconsin Natural Resources Board approved deer hunting season framework and antlerless deer quotas for 2017 at its May 24 meeting in Madison. Final season framework reflects recommendations from County Deer Advisory Councils – 2017 marks the third year these councils have played a key role in Wisconsin’s deer management efforts. In addition to direct feedback from councils, more than 6,500 questionnaires were received during a public input process that ran from April 3-13, 2017. 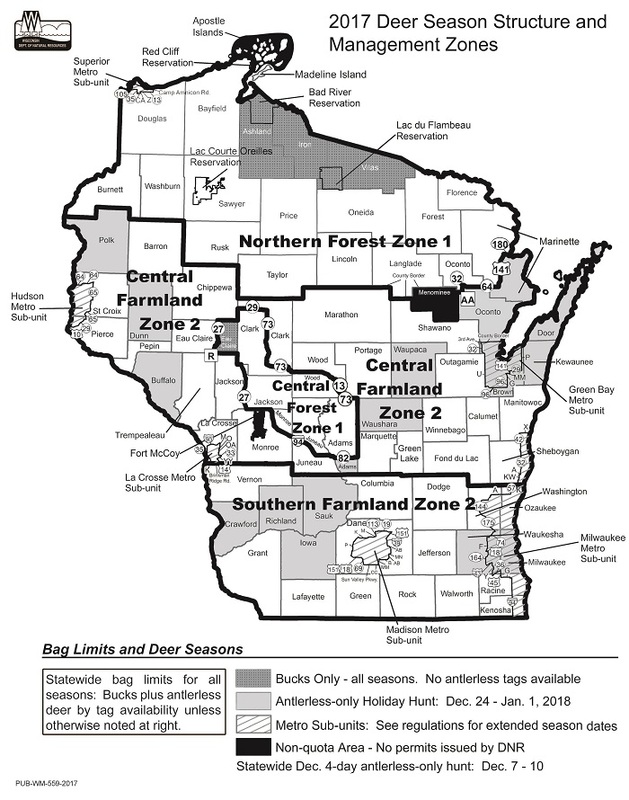 In 2017, four deer management units within the Northern and Central Forest zones will allow only bucks to be harvested, while the rest of Wisconsin will have a total quota of 276,515 antlerless deer (compared to 256,775 in 2016). A decrease in “buck-only” counties compared to the last two years (12 in 2015 and 10 in 2016) is a good indication that councils and the DNR are seeing herds rebound in Northern Forest Zone counties. As a reminder, rules are in place to allow disabled hunters, military personnel on leave, Deer Management Assistance Program cooperators, and youth hunters (the Junior Antlerless Tag is valid statewide) to harvest antlerless deer in buck-only units. As a result, there will be some antlerless deer harvested in each of the 4 buck-only units in 2017. Thursday, Aug. 17 – all remaining bonus tags can be purchased until sold out or the season ends. In addition, Farmland Zone antlerless tags will be available with the purchase of every deer hunting license. The number of tags offered will depend on the county of choice, which must be indicated at the time of issuance. These tags will be issued as early as June 1. A Holiday Hunt will be held within 17 counties and provide for an additional antlerless-only opportunity for firearm hunters from Dec. 24, 2017 to Jan.1, 2018. 2017 deer season Metro Sub-unit Tags overview. To receive email updates and other information regarding deer hunting and season structure in Wisconsin, visit dnr.wi.gov and select the email icon near the bottom of the page for “subscribe for updates for DNR topics.” Follow the prompts and select “white-tailed deer” within the “hunting” list.